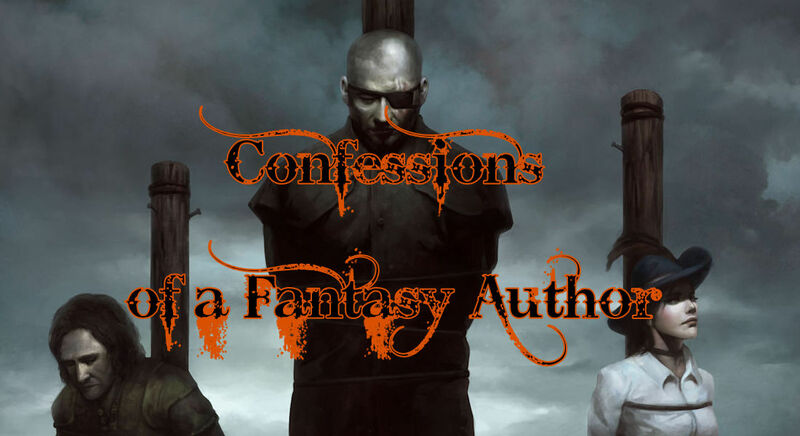 It’s confession time once more and today A.M. Justice, author of A Wizard’s Forge, has stepped into the booth to confess all her sins to us. Should we absolve her or warm up the pyre? I’m a rewriter (I’ll come back to this). I also wanted to be an actress, and I carried these opposing ambitions (acting vs marine biology) all the way through college, where I discovered a) acting involved more than memorizing your lines and not tripping on furniture, and b) marine biology involved a lot of math. I became a writer instead. In addition to writing fiction, I’m a medical writer for the pharmaceutical industry. I have written articles that were published in some top-tier medical journals, but none of them carry my byline. This is called ghostwriting. Once, through careless operation of a power drill, I accidentally gave myself a partial stigmata. Rather than go to the ER, I bandaged the wound and went to the movies. Return of the King had just opened, and we had already bought our tickets. This is called priorities. I worked the summer between high school and college as a lab technician for a pesticide company. I spent my days in a hot warehouse with no air conditioning, grinding up plant stems in a blender with distilled water, and testing these stick smoothies for nitrate levels. I was often alone and always very bored. I have started more projects than I’ve finished. One of these was a novel based on Xena, Warrior Princess. Xena isn’t my only fan-fic effort. Once I played the villain in a friend’s Doctor Who fan film, a role that required me to have silver skin, and the director used silver spray paint. Miraculously, I survived. Thankfully, the print of this very bad film has not (to my knowledge). I had a literary agent in the 1990s. The day I received his letter saying he’d represent me was one of the happiest of my life. He died before he found a publisher for my work. I used to go to Argentine tango salons (ie, milongas) three or four times a week. Then I got married and it became once a week. Then I had a kid and it became nonce a week. I watch TV waaaaaaay more than I read books (lately). I rewrite stuff. 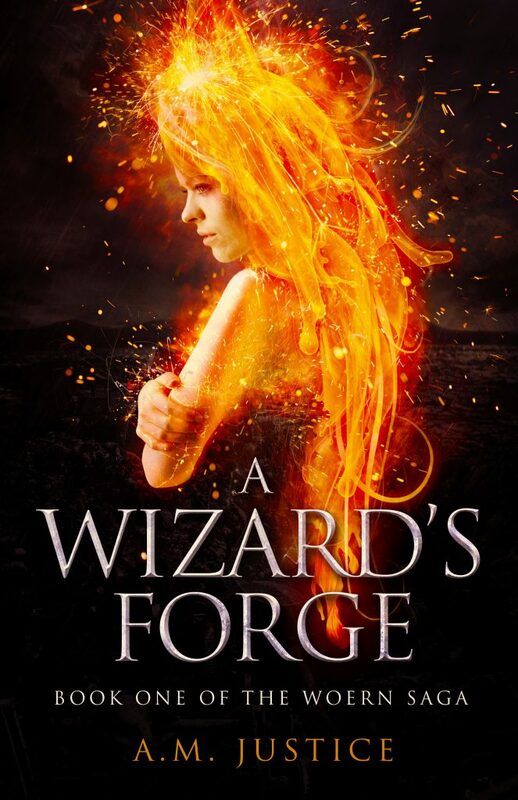 My novel A Wizard’s Forge is a rewrite of a novel called Blade of Amber, which is a rewrite of a novel I wrote in high school, so I’ve been working on the same story for close to thirty years. I think I’m finally getting the hang of it. Victoria wants revenge. Taken from her homeland and sold into slavery, she endures months of torment by a cruel tyrant before she seizes an opportunity to escape. After enlisting in a war against her former master, she gains bloody satisfaction raiding his forces. Yet her ordeal haunts her, feeding and thwarting her hunger for vengeance. A.M. Justice has danced tango beneath the wings of angels, played hide and seek with harbor seals, and sought distant galaxies from dusk to dawn. She still scuba dives and star gazes whenever the seas are calm enough and the skies dark enough. Currently, she lives in Brooklyn with her husband, daughter, and cats.